Vitamin B12 is an essential component for proper digestion and absorption of foods and for normal metabolism of carbohydrates, and fat. It aids in maintaining healthy nerve cells and red blood cells and is needed to make DNA. Vitamin B12 is also involved in homocysteine metabolism and plays a critical role in proper energy metabolism, immune function, and nerve function. 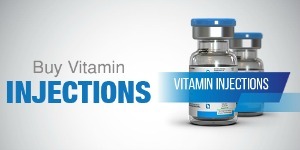 Several disorders have recently been linked to possible vitamin B12 deficiencies. Methylcobalamin also interacts differently with certain neurotransmitters within the brain and appears to be helpful in Autism and other neurodegenerative diseases. Cyanocobalamin is the most supplemented form of vitamin B12 because this synthetic version is the least expensive. Your body has no use for the cyano- compound itself, and will set about converting any cyanocobalamin you take into methylcobalamin as soon as possible. Methylcobalamin has frequently replaced cyanocobalamin in dietary supplements, because methylcobalamin is one of the most active forms of B12. Research has shown that methylcobalamin remains in the body for a longer period of time and at higher levels than cyanocobalamin, which means that your body is supplied with vitamin B12 for longer if you use methylcobalamin than if you use cyanocobalamin. Although Nutrient Injections are composed of only vitamins and minerals they still require a prescription from a medical doctor.